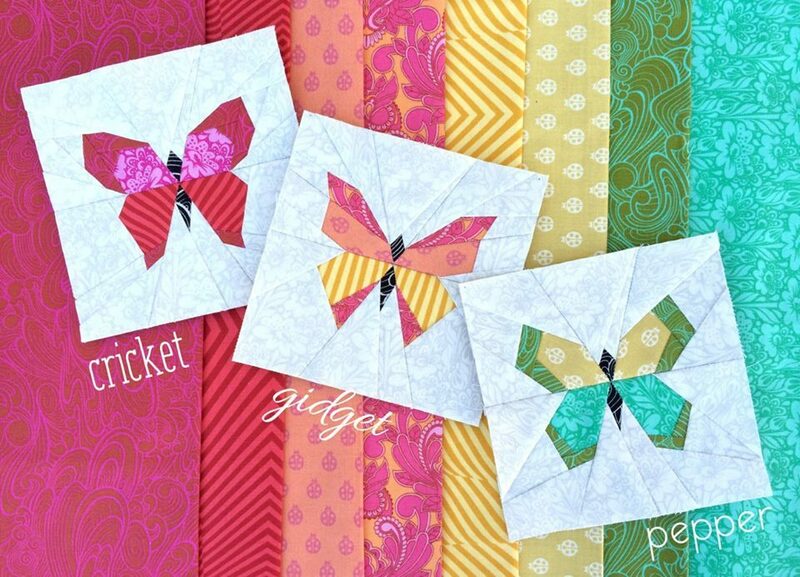 I was inspired by the butterflies and stitched blocks to create some of my own butterfly and quilted looking cards. 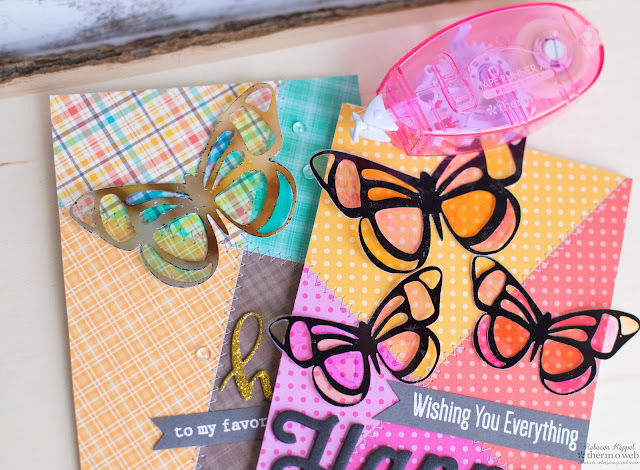 First, I die cut the butterflies from Therm O Web Toner Sheets using my Silhouette Cameo. 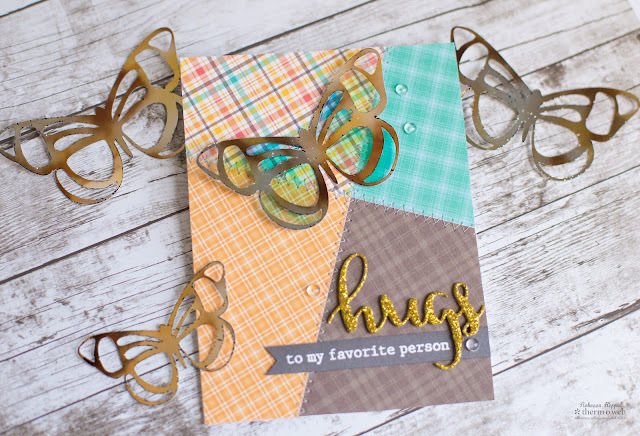 Then I foiled the butterflies with Therm O Web Deco Foils and a laminator. Next, I adhered the die cut butterflies to acetate and cut around the outside. Then I colored in the open spaces with Copic markers to create a stained glass effect. To create the card background I grabbed 6x6 patterned paper and adhered the middle of one corner to a 4.25x5x5 card panel. 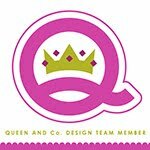 I continued to adhered corners of different patterned papers down, making sure not to put adhesive on any of the edges. Once the whole card panel was covered, I trimmed off the excess by flipping the panel over and then machine stitched along the lines to give the background a quilted effect. 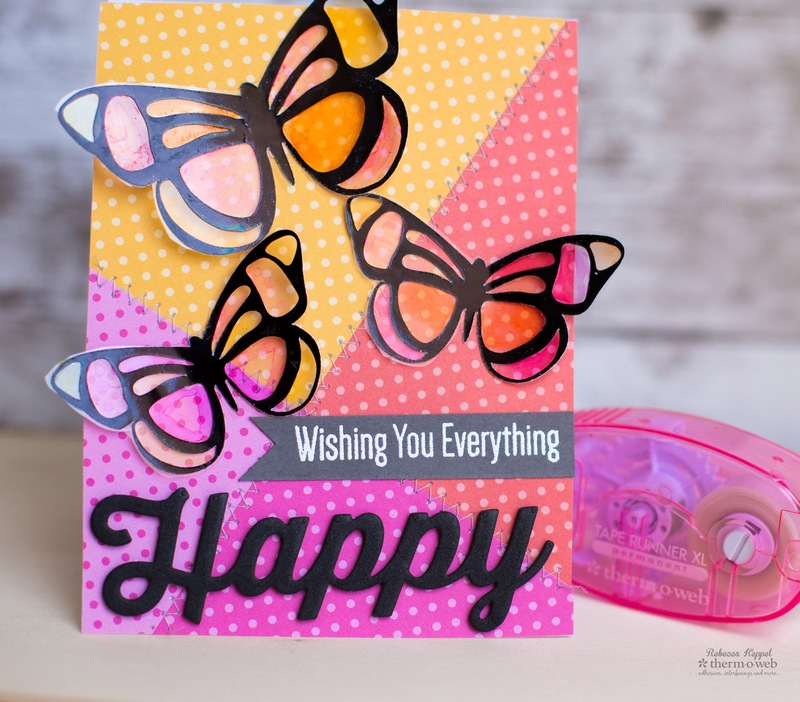 I combined stamping and die cutting to create my sentiments.